Compatible with a large range of tips. Indicating LED when power is applied to the tip. 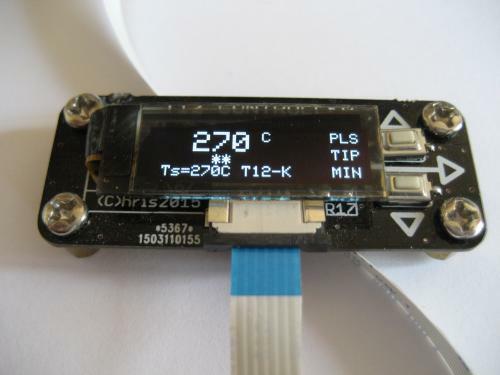 Crisp 0.91” OLED Display with 128×32 pixels. Two seperate PCBs; one controller and one userinterface board. Connected together with a flex cable. Easy to callibrate (only requires leaded 60-40 solder and some patience). Upto 31 calibrated tips are stored in internal EEPROM. Firmware is available and adaptable. Usersettings are stored in EEPROM. 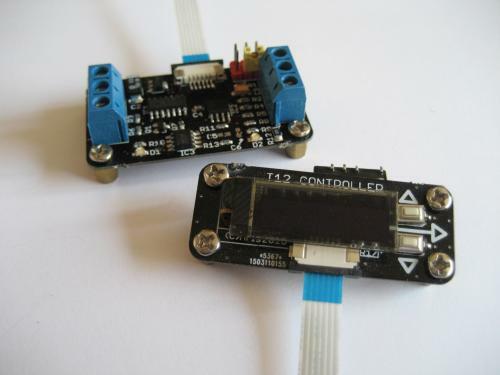 More information is available here: http://smdprutser.nl/project/70w-soldering-iron-controller/.